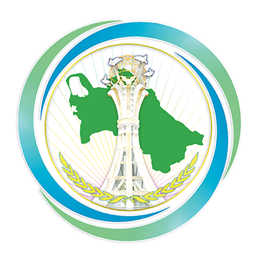 In accordance with the Action Plan on the implementation of the Concept of Turkmenistan’s Presidency over the CIS in 2019, with the aim to develop cooperation between the states, members of the CIS in the scientific, educational, cultural and humanitarian spheres, in the sphere of arts and creativity, President of Turkmenistan Gurbanguly Berdimuhamedov signed the Resolution, authorizing the Ministry of Culture jointly with the Ministry of Foreign Affairs, the Ministry of Education and the Academy of Sciences of Turkmenistan to organize the XIV Forum of CIS Creative and Scientific Intelligentsia in Ashgabat on May 15-16, 2019 at the high level. In accordance with the Action Plan on the implementation of the Concept of Turkmenistan’s Presidency over the CIS in 2019, President of Turkmenistan Gurbanguly Berdimuhamedov signed the Resolution, authorizing the Office of the President of Turkmenistan and the Ministry of Foreign Affairs jointly with the CIS Executive Committee to organize the session of the Council of Heads of Government of the CIS in Ashgabat on May 31, 2019 at the high level. In accordance with the Action Plan on the implementation of the Concept of Turkmenistan’s Presidency over the CIS in 2019, President of Turkmenistan Gurbanguly Berdimuhamedov signed the Resolution, authorizing the Office of the President of Turkmenistan jointly with the Ministry of Foreign Affairs to organize the session of the Council of Heads of States of the CIS in Ashgabat on October 11, 2019 at the high level.